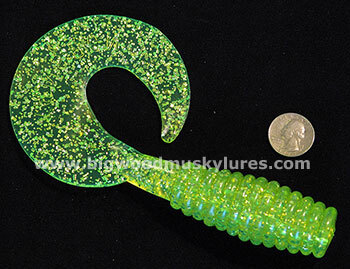 Description: The Phantom Lures HardHead is a versatile swimbait made of a solid high impact plastic head and a soft rubber tail that is turned onto a heavy duty custom made spring. 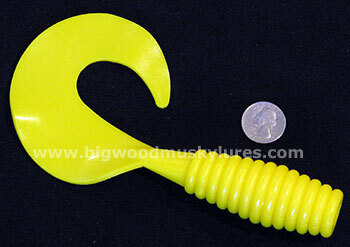 The Phantom Lures soft rubber tail can be replaced or adjusted on the water without the use of any adhesive. 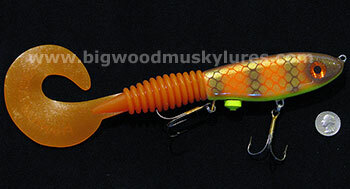 Easily and quickle change the tail to try another color combination or when hungry Muskies chew up your tail! The Phantom Lures HardHead can be fished as a PULL or JIG bait with two 6/32 screw inserts front and rear of the Phantom Lures HardHead for easy weight/balance adjustment. 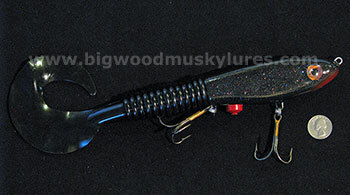 The HardHead without weight added, sinks at about a foot a second. 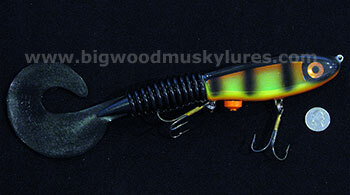 Add weight to the front of the Phantom Lures HardHead to speed descent. 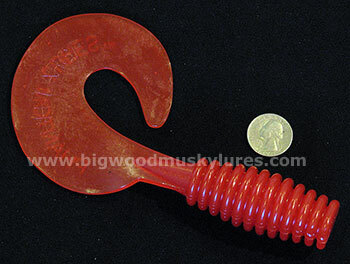 Add weight to the back of this Musky Lure for awesome jigging action! Pitched, Pulled, Jigged, or Trolled, the Phantom HardHead is an OUTSTANDING addition to your must have quality Phantom Lures selection! 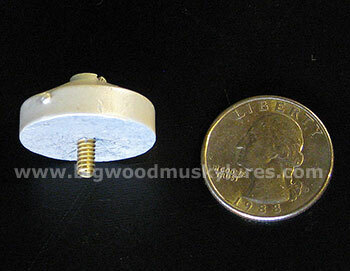 Proudly made in the U.S.A. Comes with one, 1/2 oz. 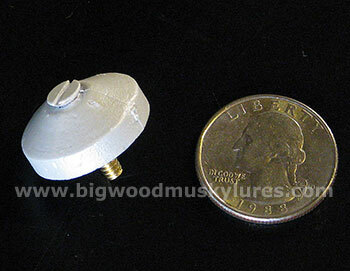 weight insert that makes the Hardhead weigh 8 oz. and 14" with tail stretched out. Description: Phantom Lures Replacement Tails for the Phantom Lures HardHead are Very similar to a Kalin Big'N Grub but in a wider variety of colors. Made in the U.S.A. 1 per pack. 2 1/4 oz. 8 1/2" when stretched out. 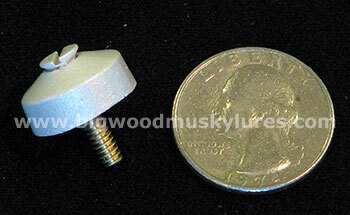 Description: Phantom Lures Screw-in weights for the HardHeads. 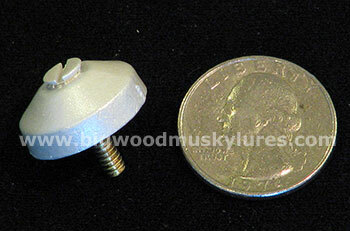 Also fits most other baits with a screw-in weight insert installed. 1 weight per bag.